The Supreme Court today provided massive relief to the telecom service providers by quashing Telecom Consumers Protection (Ninth Amendment) Regulations, 2015, of the Telecom Regulatory Authority of India(TRAI) which made it mandatory for mobile network companies to compensate subscribers for call drops. Delivering the judgment, a bench of Justices Kurian Joseph and Rohinton Nariman termed the TRAI notification as “flawed, unconstitutional, arbitrary and unreasonable”. The bench was also of the view that a transparent procedure was not followed while evolving it. TRAI had made it mandatory for telcos to pay consumers Rs 1 per call drop, subject to a cap of Rs 3 a day. The bench said the regulation which fastens strict liability on the telecom companies for no fault of theirs is arbitrary and violative of Article 14 of the Constitution. The bench was of the view that parliament should frame regulations or law in terms which even subordinate legislations should be subjected to principle of transparency as is reflected in several judgments of the American Supreme Court. Cellular Operators Association of India (COAI), a body of Unified Telecom Service Providers and 21 telecom operators, including Vodafone, Airtel and Reliance had moved the Supreme Court against a Delhi High Court verdict upholding TRAI notification. Delhi High Court upheld the legality of the charges on February 29. It is to be noted that during the arguments, the Telecom Regulatory Authority of India defended the decision to charge telecom companies for call drops alleging that a cartel of 4-5 telecom firms having a billion subscribers are making Rs 250 crore a day but not making investments on their network to improve services to check the menace. “There is a cartel of four-five telecom companies having billion subscribers, who are making Rs 250 crore a day from outgoing calls. They have stupendous growth but they are making minimum investment on their network to improve the quality of service on their network to curb call drops”, Attorney General Mukul Rohatgi representing the TRAI had said. 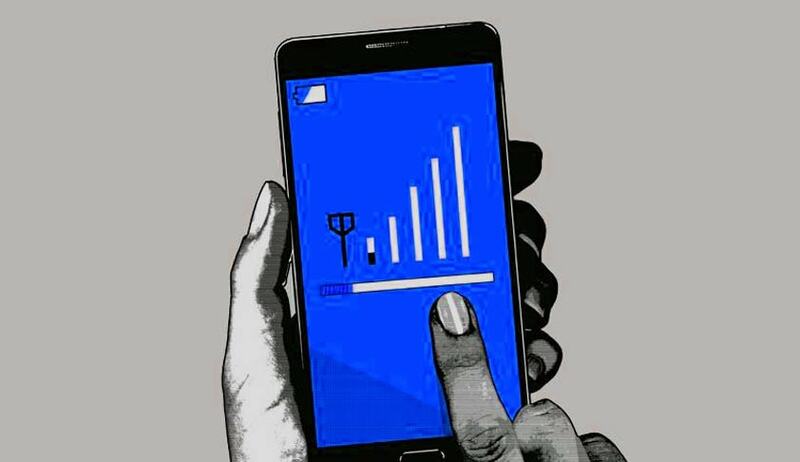 On its part the Telcos had said consumers who opt for inferior quality cell phones and grey market handsets are responsible for 36% of call drops and just seven per cent of instances can be attributed to them. "In the present case, we find that the High Court judgment is flawed for several reasons. The judgment is not correct when it says that there can be no dispute that the Impugned Regulation has been made to ensure quality of service extended to consumers by service providers. As has been pointed out here in above, the Impugned Regulation does not lay down any quality of service – what it does is to penalise service providers even though they conform to the 2% standard laid down by the Quality of Service Regulations, 2009. In holding that the Impugned Regulation therefore conforms to Section 11(1)(b)(v), the judgment is plainly incorrect. Similarly, the finding that notional compensation is given, and that therefore no penalty is imposed, is also wrong and set aside for the reasons given by us here in above. The finding that a transparent process was followed by TRAI in making the Impugned Regulation is only partly correct. While it is true that all stakeholders were consulted, but unfortunately nothing is disclosed as to why service providers were incorrect when they said that call drops were due to various reasons, some of which cannot be said to be because of the fault of the service provider. Indeed, the Regulation, in assuming that every call drop is a deficiency of service on the part of the service provider, is plainly incorrect. Further, the High Court judgment, when it speaks of the technical paper of 13.11.2015, seems to have mixed it up with the consultation paper dated 4.9.2015 referred to in the Explanatory Memorandum to the Impugned Regulation. The judgment has entirely missed the fact that the technical paper of 13.11.2015 unequivocally states that the causes for call drops are many and are often beyond the control of service providers and attributable to the extent of 36.9% to the consumers themselves. The judgment is also incorrect when it says that 100% performance is not demanded from service providers when call drops are made. We have already pointed out that the 2% standard has admittedly been met by almost all the service providers, and this being so, even if the very first call drop and all other subsequent call drops are made within the network of a service provider and are within the parameters of 2%, yet the penal consequence of the amended regulation must follow. The judgment is also incorrect in stating that the Impugned Regulation has attempted to balance the interest of service providers by limiting call drops to be compensated to only three and by limiting compensation to only the calling and not the receiving consumer. We have already pointed out that a penalty that is imposed without any reason either as to the number of call drops made being three, and only to the calling consumer, far from balancing the interest of consumers and service providers, is manifestly arbitrary, not being based on any factual data or reason. We also find that when the service provider argued that it was being penalised despite being within the tolerance limit of 2%, the answer given by the High Court is disingenuous, to say the least, when the High Court says that 2% is a quality parameter for the entire network as opposed to payment of compensation to an individual consumer. We are unable to appreciate the aforesaid reasoning. As has been held by us above, the two sets of Regulations have to be considered together when the Impugned Regulation is being tested on the ground of violation of fundamental rights. Also, the High Court did not advert to a large number of other submissions made by the appellants before them and/or answer them correctly in law. As a result, therefore, we set aside the judgment of the High Court and allow these appeals, declaring that the Impugned Regulation is ultra vires the TRAI Act and violative of the appellant’s fundamental rights under Articles 14 and 19(1)(g) of the Constitution.